GEMMA STOP Original. LOTS OF PRODUCTS AT GREAT PRICES! YOU WILL LOSE THE RIGHT TO PROTEST. Fit for Kawasaki Ninja 300 ER6N Z1000 ZX-6R. Lens Size(L W): Approx. Type: Turn Lights. Due to the light and screen setting difference, the item's color may be slightly different from the pictures. 1 Pair Turn Lights. Piaggio Liberty. FULL ARROW LEFT. UPON RECEIPT OF THE PARCEL YOU WILL LOSE THE RIGHT TO PROTEST. LOTS OF PRODUCTS AT GREAT PRICES! Brake Pedal etc (3). Front Right Turn Signal for GS-811 (wire color: green/blue). Front Right Turn Signal for GS-811. TP Peace Sports. 1,CRANK CASE (8). 10,CRANK SHAFT (2). Storage Box,Lock (5). ATV foot brake (1). Brake Pedal etc (3). Front Left Turn Signal for GS-811 (wire color: orange/green). Front Left Turn Signal for GS-811. TP Peace Sports. 1,CRANK CASE (8). 10,CRANK SHAFT (2). Storage Box,Lock (5). Other (1) © 2003-2017 Fancy Scooters LLC. GS-811 Peace 49cc Scooter. Brake Pedal etc (3). Rear Left Turn Signal for GS-811 (wire color: orange/green). Rear Left Turn Signal for GS-811. TP Peace Sports. 1,CRANK CASE (8). gas scooter switch buttons (11). Brake Pedal etc (3). Rear Right Turn Signal for GS-811 (wire color: blue/green). Rear Right Turn Signal for GS-811. TP Peace Sports. 1,CRANK CASE (8). 10,CRANK SHAFT (2). Storage Box,Lock (5). ATV foot brake (1). Flasher for Peace Mopeds with Three Wires. TP Peace Sports. gas scooter switch buttons (11). gas scooter farings (43). fuse,fuse basket (4). Seats (19). CDI, relay,regulat​or,coils (91). Brake Cables (29). Complete set of 2 white/clear rear indicators for you vespa LX, LXV, S! Rear left&right. Ninta Front Indicator x1pc 346900. A signature will be required. However, delays are occasionally inevitable due to unforeseen circumstances. (see below). GS-810 Peace 49cc Scooter. Brake Pedal etc (3). Rear Right Turn Signal for GS-810 (blue/green). TP Peace Sports. 1,CRANK CASE (8). 10,CRANK SHAFT (2). gas scooter switch buttons (11). gas scooter farings (43). JMP Universal Round Amber Indicator x1pc. Unit Quantity: x1pc. Position: Universal. A signature will be required. However, delays are occasionally inevitable due to unforeseen circumstances. FOR SALE IS A NEW SYM FRONT RIGHT AMBER INDICATOR TO FIT THE SYM SHARK 125. SYM SHARK 125 FRONT RIGHT INDICATOR UNIT. Ninta Front Right Indicator x1pc 346970. Brooks Barn. find your part. A signature will be required. However, delays are occasionally inevitable due to unforeseen circumstances. JMP Front Small Clear Indicator x2pcs. JMP Mini LED Flashing Lights. Unit Quantity: x2pcs. Feature 1 - clear glass / milk glass. find your part. However, delays are occasionally inevitable due to unforeseen circumstances. FOCUS II (DA_), 11.04-01.08. FOCUS C-MAX (C214), 10.03-06.07. Side (left/right) left. 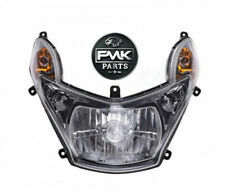 Part Kind Side flashers (also in mirrors) and associated parts. Location (front/rear) Front. Part group Lighting. genuine part OE1 marked with logo – trade mark of the manufacturer of the vehicle. 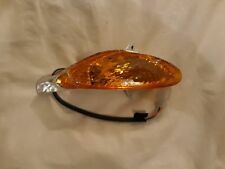 Aprilia turn signals front right and rear left for RS 250 mod. 95-97, rally 50 AP8124140. Aprilia Rally 2T LC 1997 50 ZD4MDB. Aprilia Rally 2T LC 1998 50 ZD4MDB. Aprilia rs 2T LC 1996 250 ZD4LD0. Aprilia rs 2T LC 1995 250 ZD4LD0. 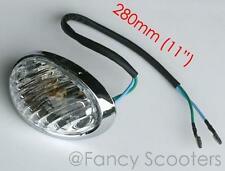 VESPA PX/T5/LML Indicator Lens Kit - CLEAR (X4 Pieces) TSR PART ID : VLL604-1a. Why Buy From Us?. BARGAIN BUCKET. PGO G-Max. PGO G-Max 125. PGO G-Max 150. PGO G-max 50. PGO G-max 50 25 km/h. also to be found in: indicator, indicator cover, indicator CAP, indicator cover, indicator lense, indicator CAP, signal lamp glass. Ninta Front Left Indicator x1pc 348926. A signature will be required. However, delays are occasionally inevitable due to unforeseen circumstances. (see below). Ninta Front Indicator x1pc 346919. A signature will be required. However, delays are occasionally inevitable due to unforeseen circumstances. (see below). 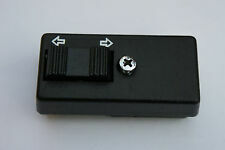 Ninta Front Left Indicator x1pc 349811. A signature will be required. However, delays are occasionally inevitable due to unforeseen circumstances. (see below). Ninta Front Right Indicator x1pc 349671. A signature will be required. However, delays are occasionally inevitable due to unforeseen circumstances. Ninta Front Left / Rear Right Indicator x1pc 346635. A signature will be required. However, delays are occasionally inevitable due to unforeseen circumstances. (see below). Ninta Front Indicator x1pc 345752. A signature will be required. (see below). Ninta Front Right Indicator x1pc 349810. A signature will be required. However, delays are occasionally inevitable due to unforeseen circumstances. 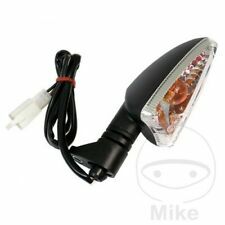 L69 SKR turn signal. Piaggio Ape. Piaggio SKR 125 CSM1T. Piaggio SKR 150 CVM1T. Piaggio Quartz 50 NSP1T. By Piaggio, Vespa, Gilera and APE. New and used parts. Part Number. Transparent arrows kit, stop gem and red light bulb (for stop) for Vespa ET2 / ET4. THE KIT INCLUDES. FRONT RIGHT ARROW. Gem transparent rear light. Red double light bulb (12V 5 / 21W. Red double light bulb (12V 5 / 21W BAY15d). ). Ninta Rear Indicator x1pc 347970. A signature will be required. However, delays are occasionally inevitable due to unforeseen circumstances. Ninta Front Right Indicator x1pc 345911. A signature will be required. However, delays are occasionally inevitable due to unforeseen circumstances. Ninta Rear Right Indicator x1pc 347681. A signature will be required. However, delays are occasionally inevitable due to unforeseen circumstances. JMP Front Left Gem Clear Indicator x1pc. Unit Quantity: x1pc. Position: Front Left. find your part. However, delays are occasionally inevitable due to unforeseen circumstances. A signature will be required. Ninta Front Left Indicator x1pc 347950. A signature will be required. However, delays are occasionally inevitable due to unforeseen circumstances. (see below). Ninta Front Right Indicator x1pc 347821. A signature will be required. However, delays are occasionally inevitable due to unforeseen circumstances. Ninta Front Indicator x1pc 347675. A signature will be required. (see below). Ninta Front Left Indicator x1pc 346971. A signature will be required. Ninta Rear Right Indicator x1pc 347996. A signature will be required. However, delays are occasionally inevitable due to unforeseen circumstances. (see below). Ninta Rear Left Indicator x1pc 348928. A signature will be required. However, delays are occasionally inevitable due to unforeseen circumstances. 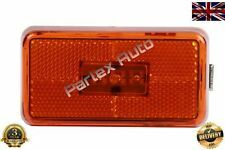 Ninta Front Left / Rear Right Indicator x1pc 349831. A signature will be required. However, delays are occasionally inevitable due to unforeseen circumstances. Ninta Front Indicator x1pc 346296. A signature will be required. (see below). 2014 Piaggio X10 350cc righthand rear indicator/tail light .Unmarked 22600klms.